We visit Christian territory with Holy Thursday. In this episode Aondreiel talks about how he practices Reiki and then performs a reiki session on me (Courtney)! We then discuss the post reiki session. We hope you enjoy getting to know us a little better. We revisit Malleus Maleficarum. Full disclaimer: we get a little crude, and there is explicit content. Hold on to your members, it’s gonna be a bumpy ride! This one’s for you! A listener episode to thank all you lovely people for supporting us and our podcast. Send in your stories to be included in future episodes! Edit** This is episode 39 even though I said 38! ** This is our second attempt at diving into the world of Greek Mythology. The Hades and Persephone episode was so popular that we decided to go for it again! Courtney also realizes exactly why having Aondreiel as a partner in the podcast is so helpful. Please excuse all the "ums", Courtney isn't used to being all on her own, haha. Enjoy the myth of Narcissus and Echo! Welcome to episode 38 of Spell Cast! Aondreiel and I talk about the history and practical uses of sigil magic. Igneccius surprises us for the second part of this episode! Warning, explicit content in the form of foul language. In this episode of Spell Cast Aondreiel and I discuss excerpts from the "Malleus Maleficarum". Passion ensues. Welcome to the second half of our journey through Reiki! Kate is back for a friendly debate and to tell us one of her most outstanding experiences while practicing reiki. On this episode of Spell Cast we sit down with Reiki Master Kate Gajewski to discuss the basics of Reiki and how she became a master. Of course, another installment is coming soon! Courtney takes the reins on this one and reads a segment from the Homeric Hymn to Demeter and talks about the story of Hades and Persephone. In the episode of Spell Cast, Aondreiel and I discuss various ghostly apparitions. You decide, are science and the paranormal mutually exclusive, or do we have room for both in this world? Ignnecius joins Aondreiel and I to discuss Chakras, in the long awaited episode. We give an overview of all seven Chakras, including their English and Sanskrit names, associations, and what it looks like when they are balanced or imbalanced. A continuation of our Magical Correspondences episodes. Make every hour of your day magical! In this episode mysticyautja is back to talk about Yesod, the second level of the Tree of Life from Jewish Qabalah. In this very merry episode of Spell Cast we talk about Icelandic Christmas Folklore, the Epiphany, and La Befana the Christmas Witch. Happy holidays and a Happy New Year! Celebrate the final Sabbat in the Wheel of the Year with us! Good Yule friends! We have a little fun with this one, and give you the history of Saturnalia! 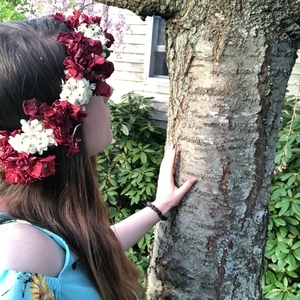 An Ancient Roman holiday celebrated around this time of year. We are back for round two! In part two we cover days of the week in relation to spell work and ritual timing. In this episode we start to discuss correspondences of magical timing, including moon phases and brief Zodiac associations. A little background noise won’t stop us! Join us as we travel in spirit to Italy, and discuss Italian Witchcraft and Folk Magic. Join us for episode 23, as we discuss the Divine Masculine to compliment our episode on the Divine Feminine. Episode 22: Aondreiel and I discuss The Divine Feminine. We even travel to the East and bring in a bit of Hinduism. Shout out to everyone who listens and makes this podcast possible! We see you, and we appreciate you! Thank you for sticking with us this far. Episode 20 - Demons, Banshees, Cryptids, Oh my! This is the first of our spooktacular Samhain episodes! Aondreiel and I talk about some local legends and Cryptids, as well as some lesser known demons and folktales. In this episode we talk about how we relate to the Greek and Roman pantheons, Courtney reads about one of her favorite goddesses, and we let you know how we personally invite the gods and goddesses into our practice and lives. You'll be under our spell...mance! Spellmance: when the Homance Chronicles and Spell Cast come together to talk about magic in your love life. And we aren't just talking chemistry. We discuss how to harness your intuition, talk to your spirit guides, and twin flames v. soul mates. And remember, there's a little hoe in all of us! Find them on Facebook @ The Homance Chronicles-a Judgement Free Zone, and Instagram @homance_chronicles. 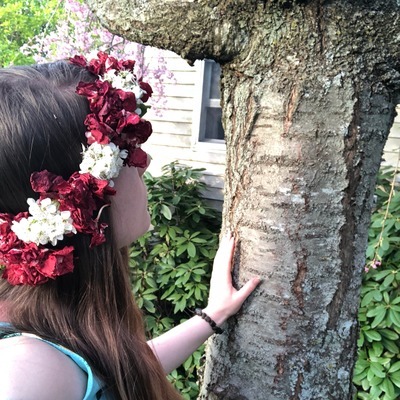 Mysticyautja joins us again to talk about our experience with Spirit Animals and how you can connect to yours. In this extra long episode Mysticyautja and Ignnecius join us to talk about Mabon! Join Aondreiel, Ignnecius and I as we talk about what Spirit and Totem Animals are as well as what our Spirit Animals are! This time Michele and Ignnecius are back to discuss favorite and intimidating tarot cards! The drinking game of the episode is me not enunciating the “T” in Rider Waite. Hope you enjoy Episode 14! It’s a full house...of cards! Join our Witchy panel as we talk about the goddess of Witchcraft and Sephora “Starter Witch Kits”. In this episode Ignnecius and Michele join us to discuss Tarot decks and divination. Check out Michele’s very own podcast michelethecast on Anchor! In this episode we talk about Witchcraft on Long Island and some local lore! **PG 13 language used** This Episode is all about Witchy myths and legends; Aondreiel and I get passionate lol. MysticYautja joins us in discussing Candle Magic! In this episode we talk about Litha/Midsummer and of course have more to say then what can fill an hour! “What does practicing Spell Craft mean to you?” During this Episode we get a little personal and talk about our own practices. In Episode 4 we cover Magical and Mundane uses for Essential Oils and run out of time to talk about them (again)! 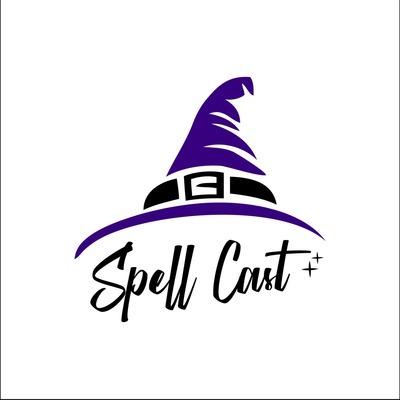 In this episode of Spell Cast we talk about Essential Oils and go on tangents about witchy stuff! In this Episode I introduce my new cohost and we equate the Tree of Life to other Spiritual Concepts. In this episode I introduce my podcast and have my first guest, Mystic Yautja!